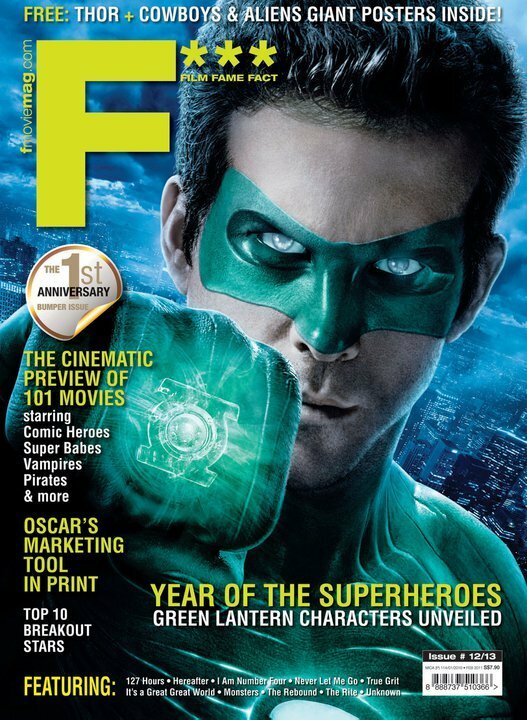 NEW IMAGE OF RYAN REYNOLDS AS THE [GREEN LANTERN] ON THE COVER OF F***! The nicely named F*** Magazine has slapped an image of Ryan Reynolds as the Green Lantern on its anniversary issue. Who can dream of what other delights reside between its pages, only the well geeked. I'm reading: NEW IMAGE OF RYAN REYNOLDS AS THE [GREEN LANTERN] ON THE COVER OF F***!Tweet this!